The late New York Times media columnist David Carr. Photo (cc) by wiobyrne. One of the last great newspaper rivalries got a boost on Monday with the debut of Margaret Sullivan’s media column in the Washington Post. Sullivan’s first piece was more a preview of coming attractions than an attempt to dig deep. But with Jim Rutenberg having replaced the late, great David Carr at the New York Times earlier this year, our two leading general-interest newspapers now have dueling media critics for the first time in ages. The Post’s hiring of Sullivan shows just how small the world of elite media can be, given that she was recruited while serving as the Times’s public editor, as the paper calls its ombudsman. Sullivan was the fifth and, to my eyes, the best. As Michael Calderone of the Huffington Post put it, Sullivan “radically updated the role for the digital age by quickly addressing Times-related controversies and debates in real time and actively engaging on social media.” Sullivan will be replaced by Elizabeth Spayd, currently the editor-in-chief and publisher of the Columbia Journalism Review and previously (yes, you guessed it) an editor at the Washington Post. Needless to say, it will be interesting to see whether and how Sullivan chooses to write about the Times. In a recent interview with public radio’s On the Media, she praised her former employer—but also expressed frustration over an institutional attitude of “when the Times decides to cover it, then it becomes news” as well as bemusement over its oft-mocked trend stories. Indeed, Sullivan started something she called the “Monocle Meter” after the Times ran a story about the supposed resurgence of monocles in Brooklyn—a resurgence that apparently came and went without anyone actually ever having been spotted wearing a monocle. Rutenberg, a veteran political reporter, got into a spat recently when he wrote that not only did journalists in general miss the rise of Donald Trump, but so did data journalists like Nate Silver of FiveThirtyEight, whose empirically based methodology should in theory produce more accurate results. In a two-fer of Times-Post incestuousness, Rutenberg invoked an observation by the Post’s Farhi that “nothing exceeds the value of shoe-leather reporting” in criticizing Silver, who moved his site from the Times to ESPN after the 2012 presidential election. After years of striving, the Post emerged on an equal footing with the Times over the constitutional crisis sparked by the publication of the Pentagon Papers. The Post captured the public’s imagination in a way the Times never had during and after the Watergate scandal. How could the Gray Lady possibly compete with a newspaper whose journalists were portrayed by movie stars like Robert Redford, Dustin Hoffman, and Jason Robards? But the technological and cultural forces that have brought the newspaper business to its knees did considerably more damage to the Post than to the Times—that is, until Amazon’s Jeff Bezos bought the Post in 2013 and added about 100 journalists to its newsroom in a bid to transform the Post into a national digital newspaper. Now, once again, the Post and the Times are genuine rivals. The Post’s executive editor, Marty Baron, and the Times’s, Dean Baquet, are longtime friends and competitors. Bezos said in a television interview that his goal was for the Post to become “the new paper of record,” a clear reference to the Times—and the Post took it a step further than even Bezos had by putting together an ad proclaiming itself already to be “America’s New Publication of Record.” The Post also moved ahead of the Times in online readership, despite having a newsroom staff about half the size. It is into this ancient conflict—once heated, then dormant, and now heating up again—that Margaret Sullivan and Jim Rutenberg have now been enlisted. This is going to be fun. Among the odder aspects of Howard Kurtz’s very bad week (as reported by Michael Calderone of the Huffington Post) is the revelation that Daily Download, the thoroughly mediocre (at best) website with which Kurtz is more or less associated, received a $230,000 grant from the Knight Foundation, which funds innovative journalism projects. Here’s a Knight press release from March 2012. In February, Knight apologized for paying a $20,000 speaking fee to Jonah Lehrer, a so-called journalist who was hoping to revive his once-celebrated career after he’d been exposed as a plagiarist and a fabricator. Knight does a lot of great work, so I hope Knight officials will step forward and explain their decision to fund Daily Download. Photo (cc) by David Shankbone and published under a Creative Commons license. Some rights reserved. In retrospect, the biggest problem with Howard Kurtz’s rant about the media’s overhyping Irene was that he was way too early. When I linked to him on Sunday afternoon, the storm clearly seemed to have fizzled — and the main question at the time was whether the media should have been more restrained, or if we were dealing with a genuinely threatening situation that just happened not to pan out. Then came the floods. The last word goes to Charles Apple (via Martin Langeveld), who mocks the hype theory with images of the reality on the ground. Irene was a major storm that will affect the region for months to come. It was, in some respects, every bit as bad as the predictions — just different. Video above is from Brattleboro Community Television. Tina Brown (right) with Arianna Huffington. The media world is abuzz this morning over the merger of the Daily Beast and Newsweek, mainly because Tina Brown finds herself running a print magazine once again. I can’t get too excited. I never acquired the Beast habit, and I gave up on Newsweek years ago. I will say that Brown’s announcement, in which she essentially awards Newsweek columns to Howard Kurtz and Peter Beinart, makes this move sound less than revolutionary, though I’ve got a lot of respect for Kurtz. Brown’s a quirky, interesting editor, and maybe she can do something with Newsweek. But it won’t be Newsweek — that’s over. Back in 1999, I wrote about Brown for the Boston Phoenix on the occasion of Talk magazine’s disastrous launch. What? You don’t remember Talk? Neither does anyone else. I realize this sort of thing is happening all the time these days. Still, it seems noteworthy when a Washington Post fixture like media reporter Howard Kurtz up and quits in order to go over to the new-media side — in his case, to Tina Brown’s Daily Beast. Kurtz will continue hosting “Reliable Sources” on CNN. It’s hard to think of this as anything other than a great move for Kurtz. What does that say about the Washington Post? 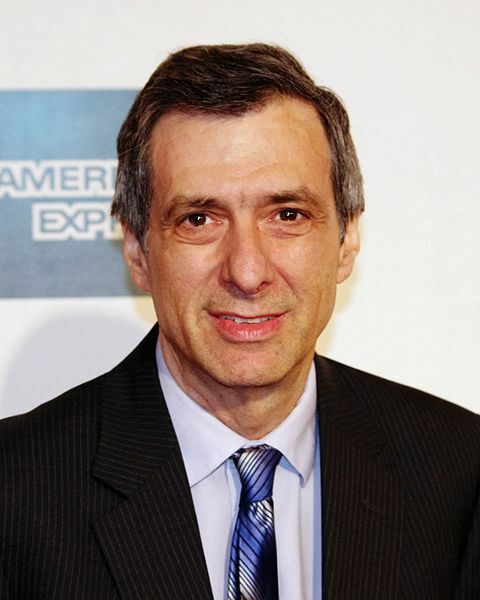 Washington Post reporter Howard Kurtz has written as good a summation of the decade in media as you’re likely to find: a tremendous explosion in innovation and diversity; mind-boggling failures by the legacy media, especially during the run-up to the war in Iraq and their continued obsession with celebrity non-news; and the meltdown of the business model. Definitely worth a read. I’ve got an essay in the current issue of Nieman Reports on the evolution of media criticism, from its roots in the work of A.J. Liebling and the alternative press to its current status as an Internet-fueled growth industry. At its best, media criticism — like all good journalism — is about digging out uncomfortable facts and telling them fearlessly. It is difficult to do well and, it shouldn’t be the critic’s job to bring about change. Truth is a rare enough commodity that it ought to be valued for its own sake. Hope you’ll take a look. The fact that big newspapers, magazines and networks have standards — that is, they refuse to print every stray rumor just because it’s “out there” — is one of their strengths. But in the latter stages of this case, it made them look clueless. Perhaps there is a middle ground where media outlets can report on a burgeoning controversy without vouching for the underlying allegations, being candid with readers and viewers about what they know and don’t know. In the end, the much-derided MSM were superfluous, their monopoly a faded memory. People have hundreds of ways to obtain information in today’s instantaneous media culture, and are capable of reaching their own conclusions about what is reliable and what is not. The humble interview, the linchpin of journalism for centuries, is under assault. In fact, what is widely regarded as the first newspaper interview was conducted not centuries ago, but in 1836, by New York Herald publisher James Gordon Bennett, who talked with the proprietor of a brothel in the hopes of shedding light on the notorious murder of a prostitute. It seems strange to realize that great American journalists from Benjamin Franklin to Isaiah Thomas never interviewed people, but such were the customs of the day.